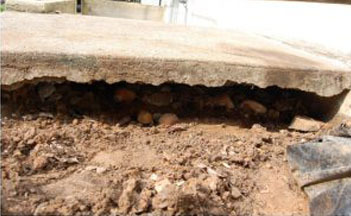 Settled or sunken concrete is a serious problem in Florida and Georgia. 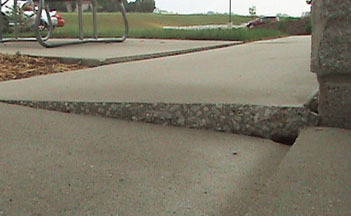 Sunken concrete can pose a serious safety hazard to residential or commercials buildings. Also if not repaired in a timely fashion then the only option left will be expensive replacement. Poly Lift USA is a privately owned concrete lifting company serving the entire state of Florida and Georgia. We pride ourselves on providing world class customer service to our customers. Our turnaround time and professionalism have made us one of the leaders in concrete lifting for the state of Florida. 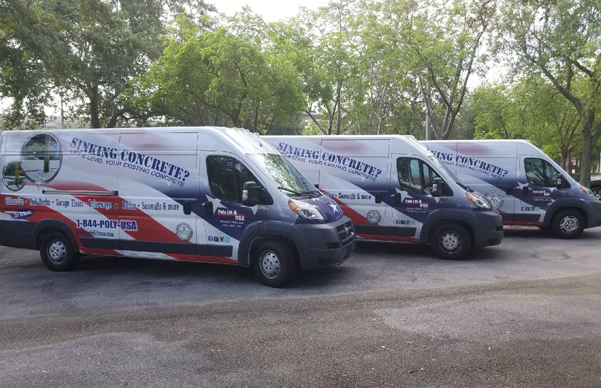 Give us a call today and you will see why thousands of other customers are calling Poly Lift USA for their concrete needs. Slabjacking, or mudjacking as it is commonly called, is a cost effective alternative to replacing sunken concrete. 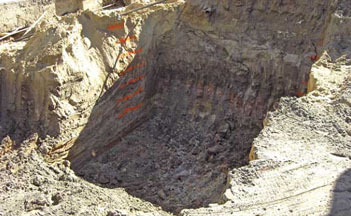 To fix a settling slab, the voids under the slab must be filled. The best solution is to use polyurethane foam or polyjacking. This product is injected directly into soft soils to provide a glue-like bond of weak or shifting soils. Project: Level Concrete Slabs Using Injection Technology Very professional, quick service & great value. They came out exactly when scheduled, didn’t mess around or try to up-sell, cleaned up the mess & was done in less than a day. Project: Level Concrete Slabs Using Injection Technology Excellent customer service. I had an unexpected challenge to the repair. Owner had the issue resolved in 24 hours. Project: Level Concrete Slabs Using Injection Technology When one sidewalk slab located in a difficult spot due to what i believe was excessive oak tree rooting did not settle properly after the initial work, the PolyLift crew quickly responded without question to fix it. They did a good job. Project: Level Concrete Slabs Using Injection Technology Very Professional extremely polite 2 young men and they were actually shocked when I tipped them. They were very appreciative and polite young men. The salesman was quick to respond no pressure explained exactly what I would be achieving with the results. Project: Level Concrete Slabs Using Injection Technology Very prompt, very professional. Very happy with my choice. Very pleased with Home Advisors in general, they haven’t failed me yet.